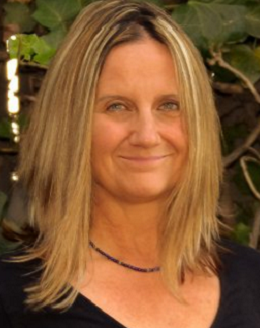 Marlina Eckel is an Austrian-American with a BA in Environmental Studies from UC Santa Barbara. Marlina’s career in real estate began in 2005 when she became a licensed Real Estate Sales Agent. Her initial activities in the field were for personal investing and she and her husband have established investments in various states. She has solid working knowledge of the expectation of homeowners working with property management and understands that communication is the key component to successful relationship and effective management. While building up a real estate portfolio she continued her work as Associate Director at Bauman College, a holistic nutrition and culinary arts school in the San Francisco Bay Area. Working with prospects, students, and staff she has honed skills in leadership, negotiation, project management, customer service, and communication. Marlina believes health is built and maintained through proper nutrition, healthy activity, mindful living, and stress reduction. Having relationships with dependable property management companies has been indispensable to her as she can count on them to handle issues in a timely and efficient manner. Marlina came to Intempus initially as a client and has been so impressed with the quality and dependability of the company that when she made her mid-life career shift it only made sense to partner with the best! Marlina brings her enthusiasm for residential property management to the North Bay where she has lived since 1999 and is pleased to assist both homeowners and tenants maintain healthy and stress free lives through her services. In her free time Marlina enjoys cycling, SUP, telemark, yoga, reading, gardening, and petting cats.